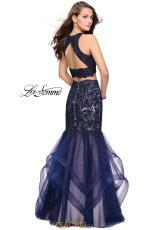 We are loving this beautiful two piece prom dress 26071 from Gigi. 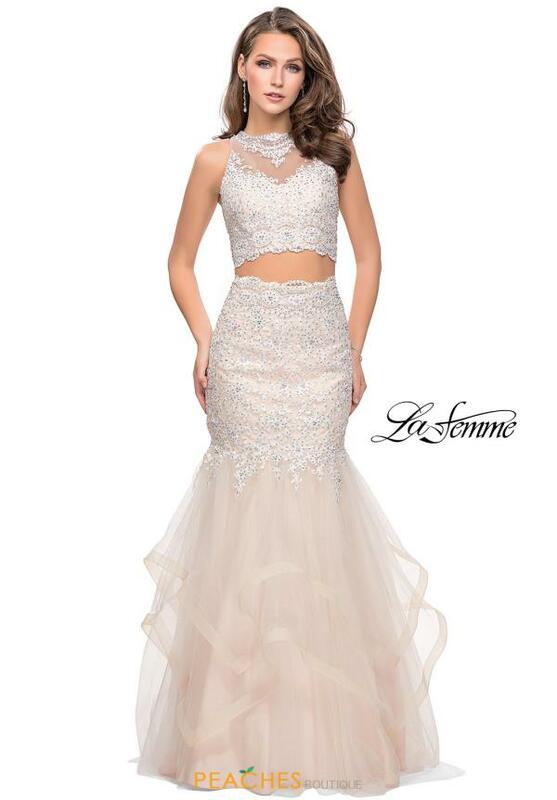 This elegant mermaid showcases a crop top and dramatic skirt. The crop top features a high neckline and is adorned with delicate lace appliques. The ravishing mermaid skirt features lavish lace appliques and extravagant ruffles that flare out for a glamorous look.